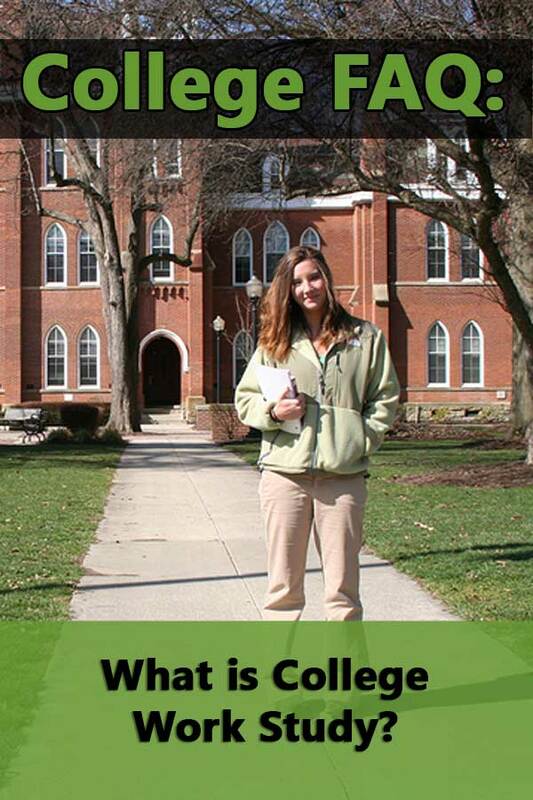 The federal work study program is one of the financial aid options available when you qualify for federal aid. Colleges administer the work study program with the federal government paying half the salary. The amount of money earned by the student in a work study job is considered part of the financial aid package and doesn’t reduce future financial aid awards. Students must apply for financial aid using the FAFSA to be eligible for a work study job. They must also indicate on the application that they would be willing to accept a work study job. Students are still eligible for work study even if they don’t check the option on the FAFSA. However, it will delay the process and increase the likelihood of the money running out before they get a chance to apply for a job. Students get work study jobs through their school, not the federal government. Each campus will have their own process for applying for work study jobs. Often students must apply before the beginning of the semester. The availability of work-study jobs will vary by campus. Simply being eligible for a work study job doesn’t guarantee that students will find a work study job. The financial aid award limits the amount of hours a student can actually work. A student cannot earn more than the financial aid award so the number of hours will vary according to the award amount and pay rate. 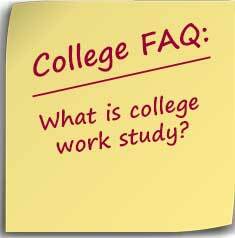 The money earned through work study is paid to the students directly and is subject to income tax but will not affect their financial aid status. The advantage of work study is it often takes the place of student loans. However, unlike loans, students have to earn the money before it is awarded. Also, if there is a gap between your financial aid award and the student’s ability to pay, the student may not want a work study job so that he can work a job and earn money to cover the gap. Check the university’s website for work study information.